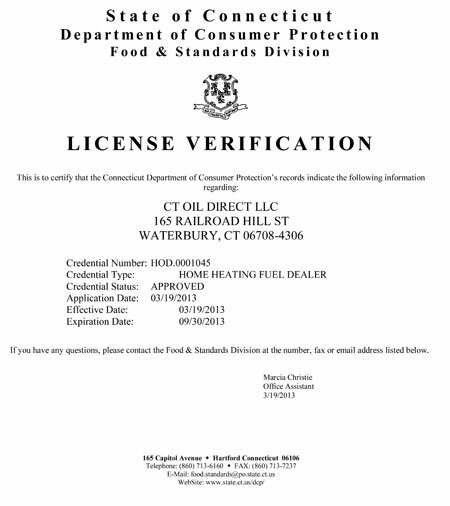 CT Oil Direct started in January 2013 as an online outgrowth of well established full-service oil dealers in Connecticut. Full-service oil companies realize that there are customers who do not want a full-service company or the large price margins that go with it. CT Oil Direct was created to supply those customers with a service strictly specializing in retail oil delivery and is able to offer its customers very competitive pricing. Why is CT Oil Direct cheaper than full-service oil companies? CT Oil Direct requires its customers to pay for the oil upfront. Unfortunately, much of oil companies expenses are a result of debt collection efforts and employment payroll. CT Oil Direct does not have to deal with these expenses and therefore can offer a product at a lower margin and a cheaper price. CT Oil Direct works because of the logistical benefits of having most full-service oil companies using the same scheduling technologies. This coordination helps us optimize efficiency – scheduling deliveries on designated days and ensuring our customers know when to expect their oil. Unlike other companies who offer a ‘discount oil division,’ we have employees exclusively responsible to ensure prompt deliveries, friendly drivers and a quality product to our customers. We also have a 24-hour answering service for whenever our customers need us. CT Oil Direct is proud of the fact that we were able to grow and flourish as an alternative to the high priced full-service companies.